Now that Christmas is over, I have some time to blog about what I've been up to! 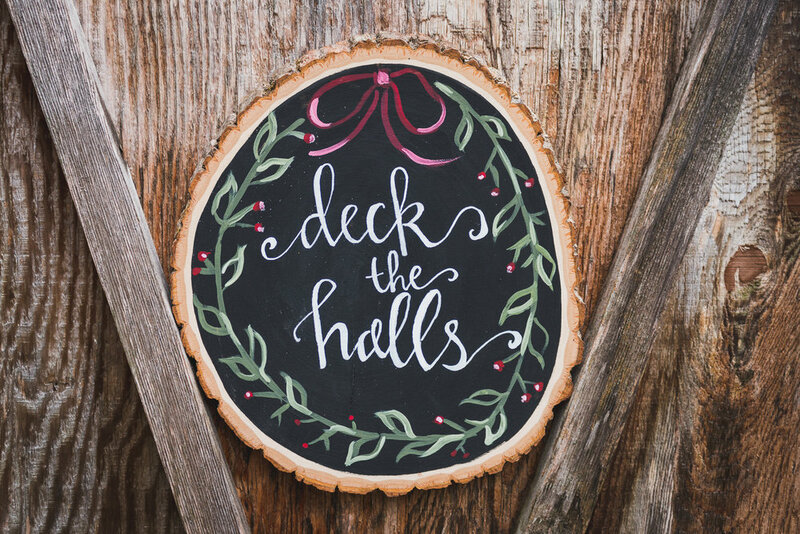 As my friends and family can attest, I have been quite the busy painter these past few months... Not with portraits (though I have done some and will touch on them in another blog post), but with holiday signs. Let me explain. I grew up in Anchorage, Kentucky (as in... not Alaska), and attended Anchorage School for K-8th grades. Each year, they host a holiday craft boutique, bakery, breakfast with Santa event before Christmas. Since this was my first full year living back in Louisville, I decided to throw my hat in the ring and reserve a booth for the holiday boutique. At first, I thought I might show paintings or photography, but... not a lot of people want to buy those things around the holidays. 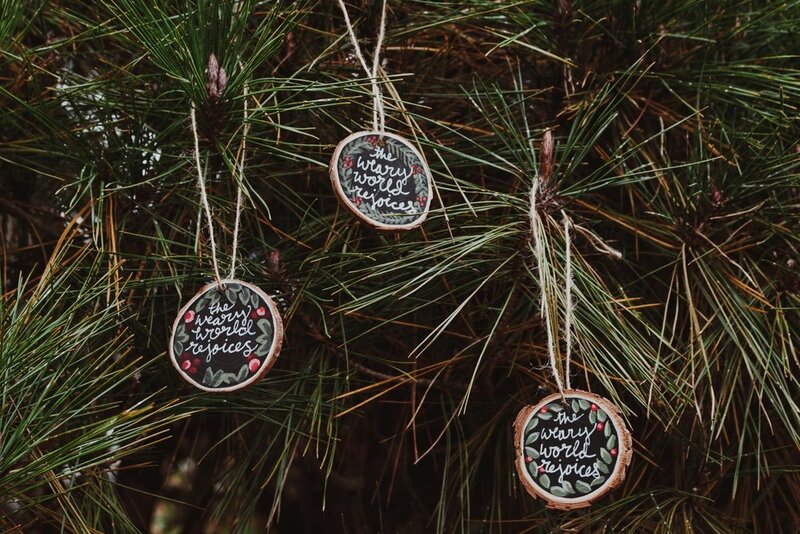 I decided to make hand painted holiday signs on wood slices-- my mom had one she'd bought a previous year that read "The Weary World Rejoices" and she kept it up all year, for the uplifting words. 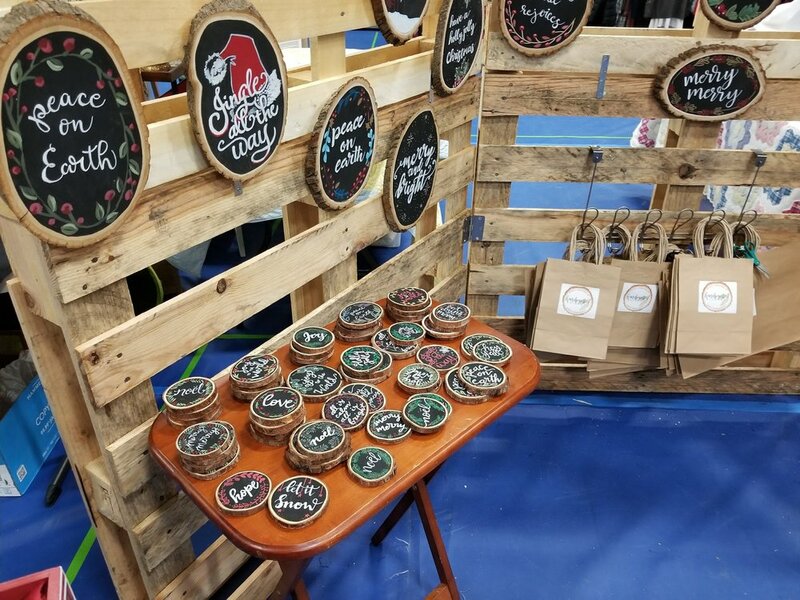 I got to work preparing and painting these wood slice signs... and ornaments... and coasters. A regular Elf in Santa's workshop! Additionally, with my marketing background I wanted everything to be branded and professional... so I designed a logo for the project, printed stickers, ordered boutique bags, tissue paper, and raffia... I even made a website for them, click here! I started marketing the signs a bit on social media, but then worried about not having enough inventory for the show and stopped-- which was a mistake. 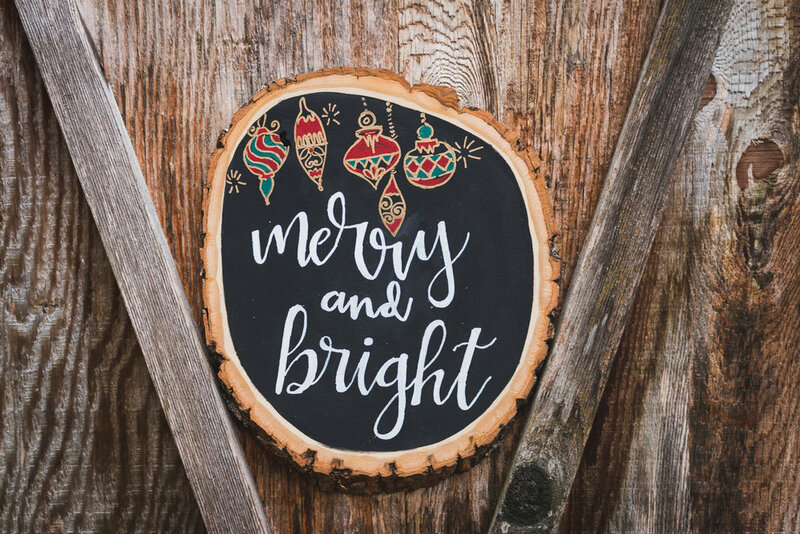 I have had the best luck selling the holiday signs to people I know, family, friends of my parents, etc! The holiday boutique came and went (as did my anxiety), and I was lucky to have a few people who purchased my signs at Christmas in Anchorage contact me for more after the event. By Christmas, I had sold most of the signs (I think I have 8 left? ), most of the ornaments, and some of the coasters. The booths weren't guaranteed to have walls, so I built my own out of recycled pallets! I had an even grander scheme for a pallet booth early on, but scrapped it as it would be too hard to transport and build on site. Really proud of my rudimentary engineering for the pallet booth, though. It worked perfectly and fit the aesthetic I wanted for my holiday signs! I even snuck in a selection of my photo prints, mounted and matted and packaged in cellophane bags for purchase. Would I do it again next year? Not the booth, necessarily. I think I could paint the signs and sell them online, maaaaaybe participate in a different local holiday fair. Definitely a learning experience! Thanks for reading this long and rambling blog, and Happy New Year!